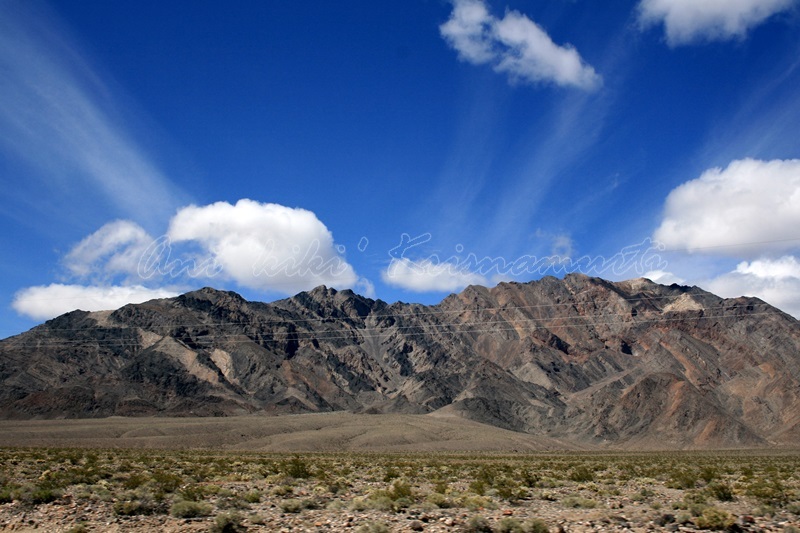 Located near the border of California and Nevada, in the Great Basin, east of the Sierra Nevada mountains, Death Valley constitutes much of Death Valley National Park and is the principal feature of the Mojave and Colorado Deserts Biosphere Reserve. 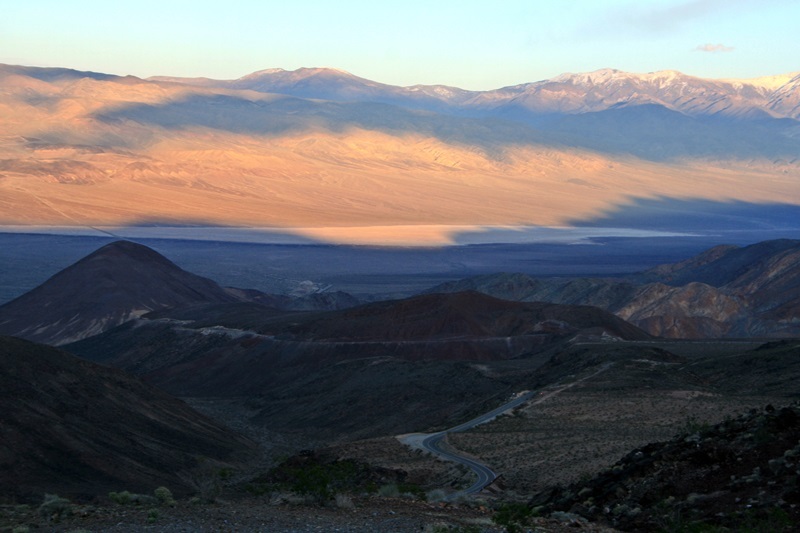 It has an area of about 3,000 sq mi (7,800 km2).The highest point in Death Valley itself is Telescope Peak in the Panamint Range, which has an elevation of 11,043 feet (3,366 m). 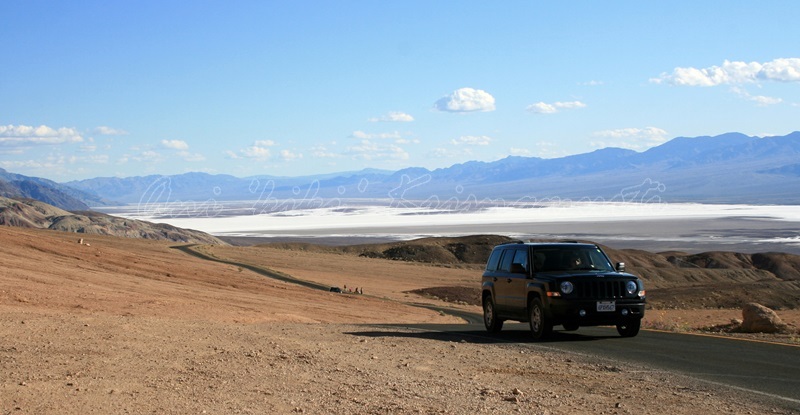 Death Valley’s Badwater Basin is the point of the lowest elevation in North America, at 282 feet (86 m) below sea level. This point is 84.6 miles (136.2 km) east-southeast of Mount Whitney, the highest point in the contiguous United States with an elevation of 14,505 feet (4,421 m). 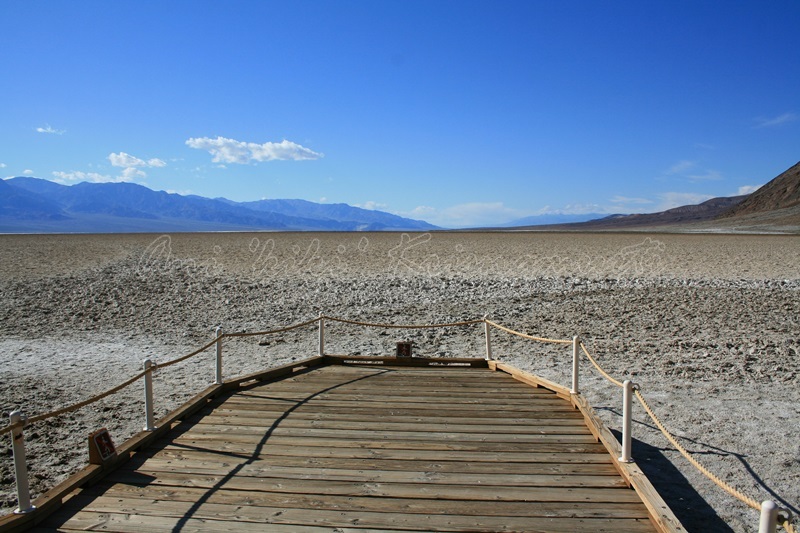 Death Valley’s Furnace Creek holds the record for the highest reliably reported air temperature in the world, 134 °F (56.7 °C) on July 10, 1913. 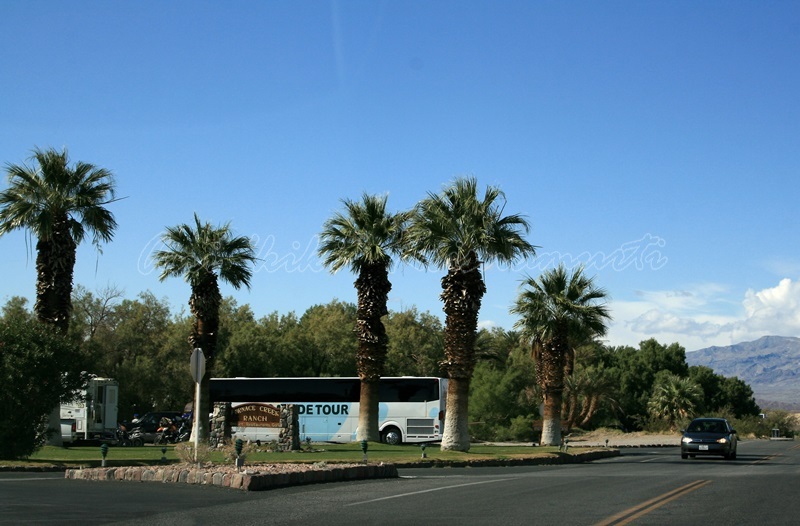 Furnace Creek is a census-designated place (CDP) in Inyo County, California, United States. The population was 24 at the 2010 census, down from 31 at the 2000 census. 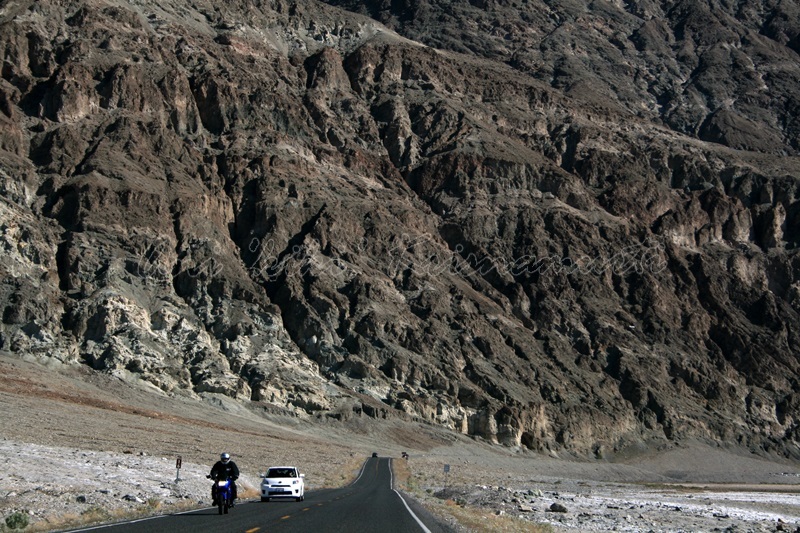 The elevation of the village is 190 feet (58 m) below sea level.The Visitor Center, Museum, and headquarters of the Death Valley National Park are located at Furnace Creek. 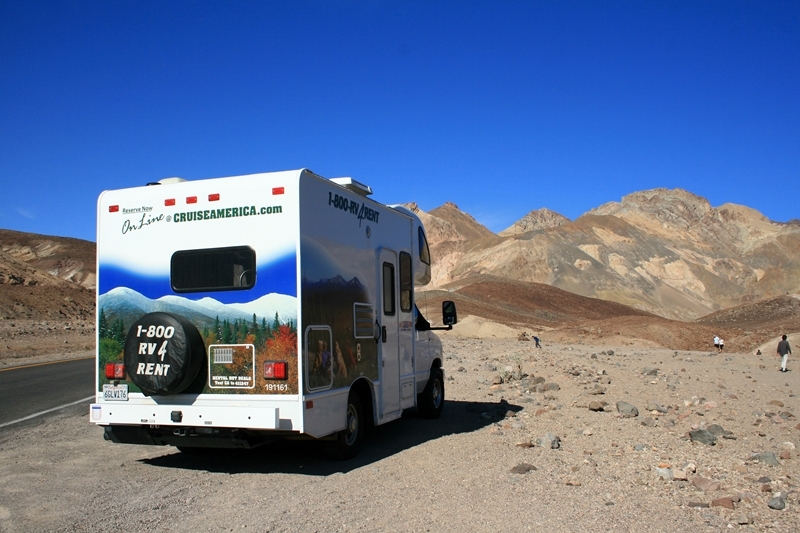 Furnace Creek is surrounded by a number of Park Service public campgrounds. 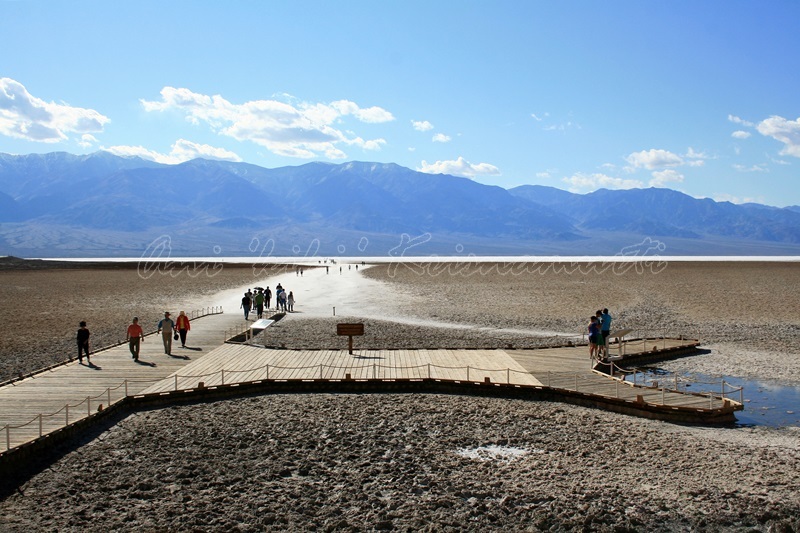 Badwater Basin is an endorheic basin in Death Valley National Park, Death Valley, Inyo County, California, noted as the lowest point in North America, with an elevation of 282 ft (86 m) below sea level. 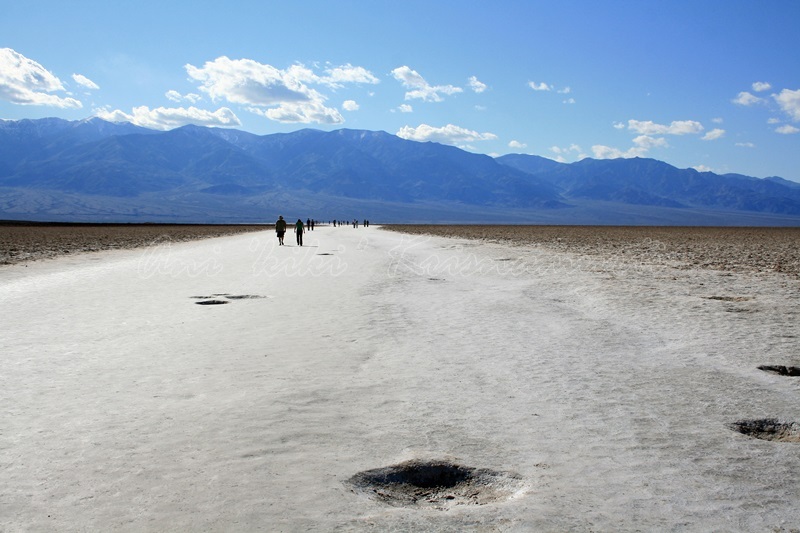 The site itself consists of a small spring-fed pool of “bad water” next to the road in a sink; the accumulated salts of the surrounding basin make it undrinkable, thus giving it the name. The pool does have animal and plant life, including pickleweed, aquatic insects, and the Badwater snail. 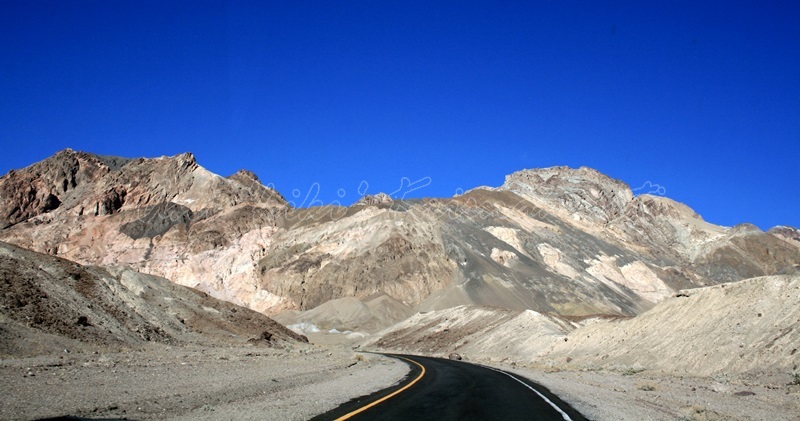 Artist’s Drive rises up to the top of an alluvial fan fed by a deep canyon cut into the Black Mountains. 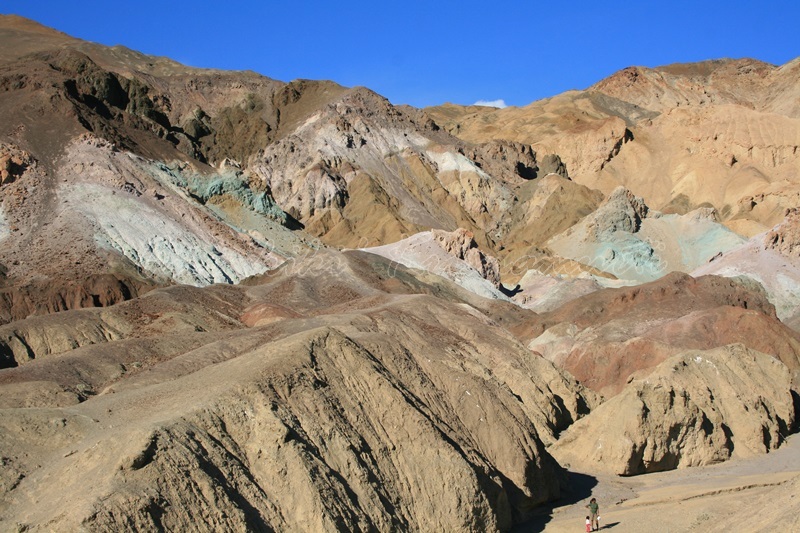 Artist’s Palette is on the face of the Black Mountains and is noted for having various colors of rock. 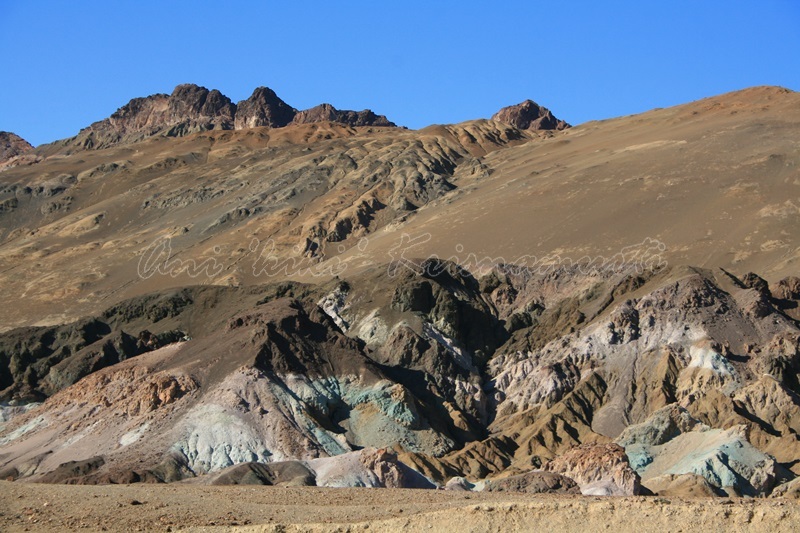 These colors are caused by the oxidation of different metals (red, pink and yellow is from iron salts, green is from decomposing tuff-derived mica, and manganese produces the purple). 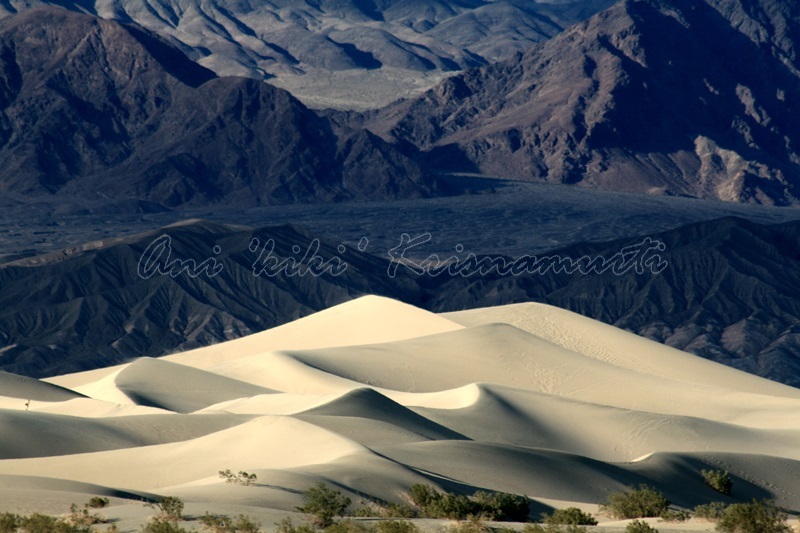 The Mesquite Flat Sand Dunes are at the northern end of the valley floor and are nearly surrounded by mountains on all sides. 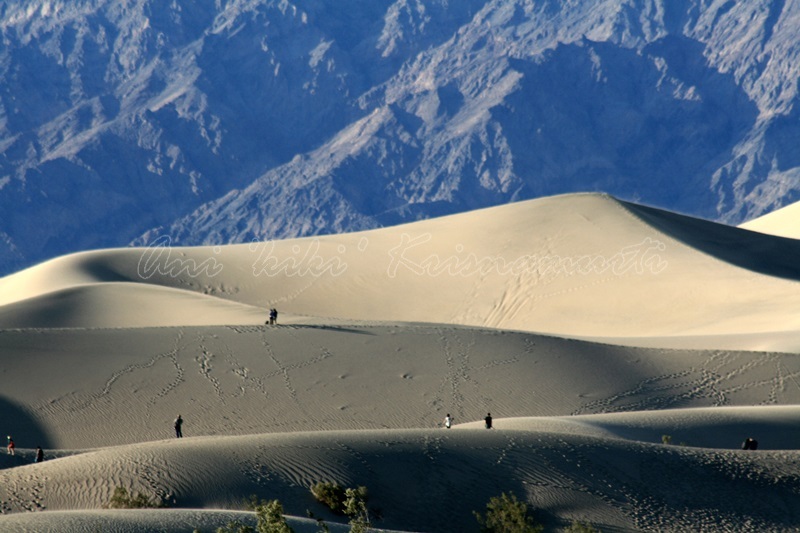 Due to their easy access from the road and the overall proximity of Death Valley to Hollywood, these dunes have been used to film sand dune scenes for several movies including films in the Star Wars series. The largest dune is called Star Dune and is relatively stable and stationary because it is at a point where the various winds that shape the dunes converge. 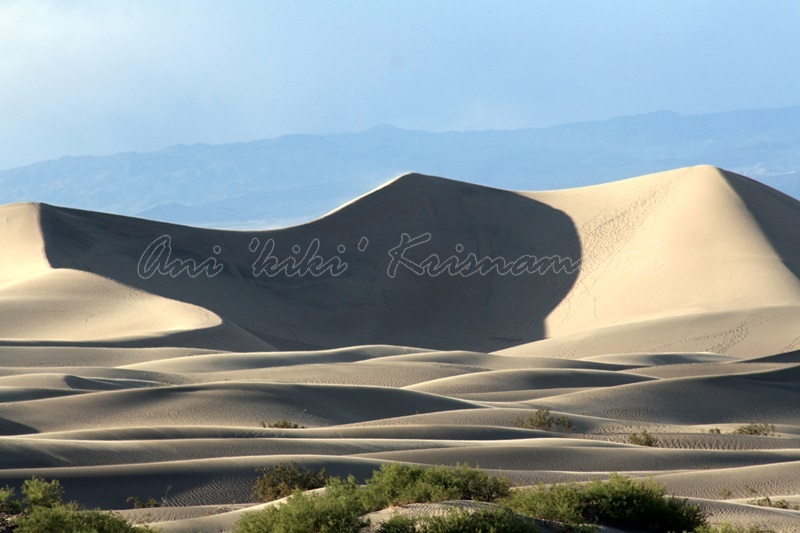 The depth of the sand at its crest is 130–140 feet (40–43 m) but this is small compared to other dunes in the area that have sand depths of up to 600–700 feet (180–210 m) deep. 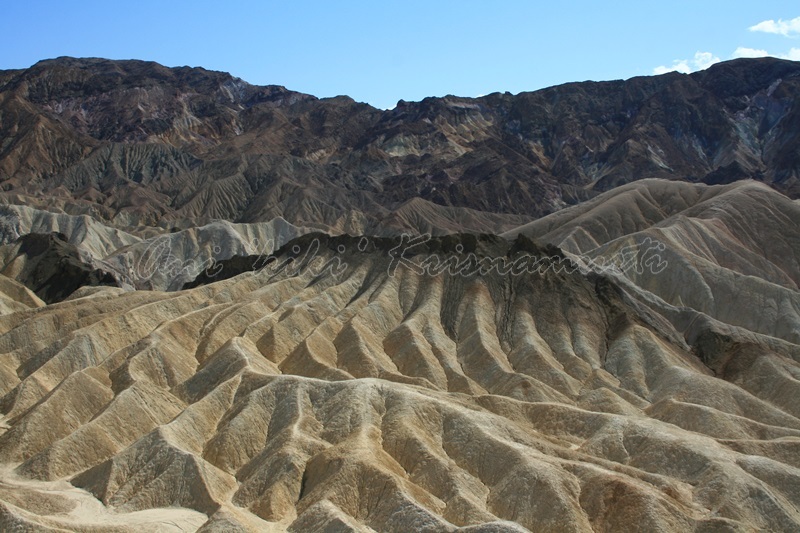 Death Valley is one of the best geological examples of a basin and rane configuration. 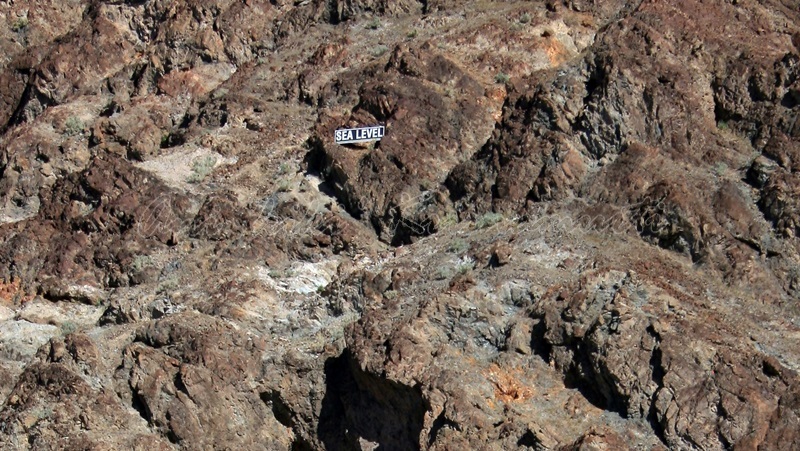 It lies at the southern end of a geological trough known as Walker Lane, which runs north into Oregon. 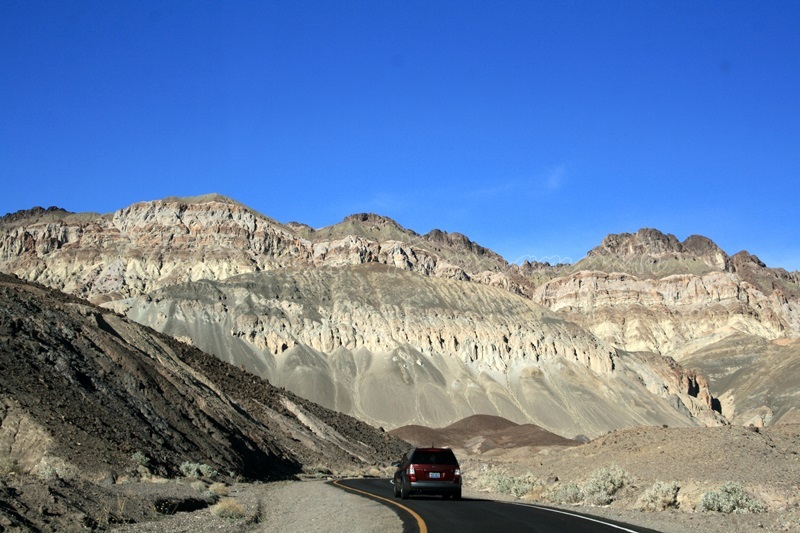 The valley is bisected by a right lateral strike slip fault system, represented by the Death Valley Fault and the Furnace Creek Fault. 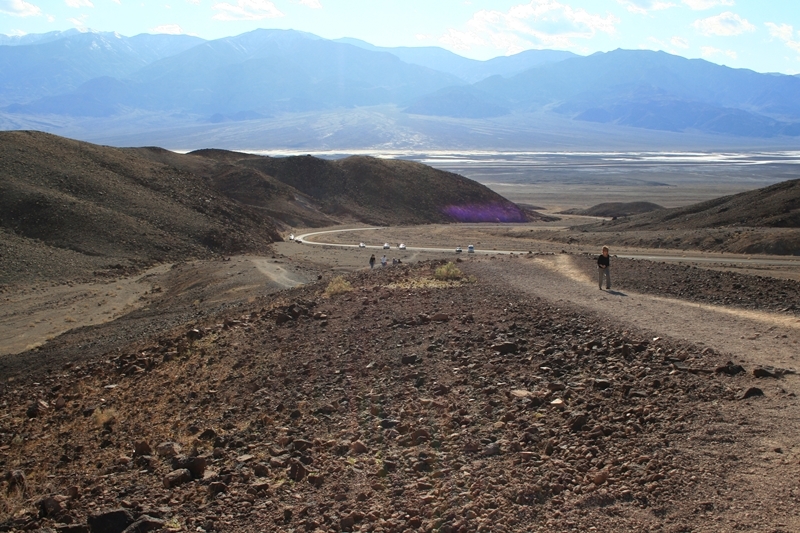 The eastern end of the left lateral Garlock Fault intersects the Death Valley Fault. 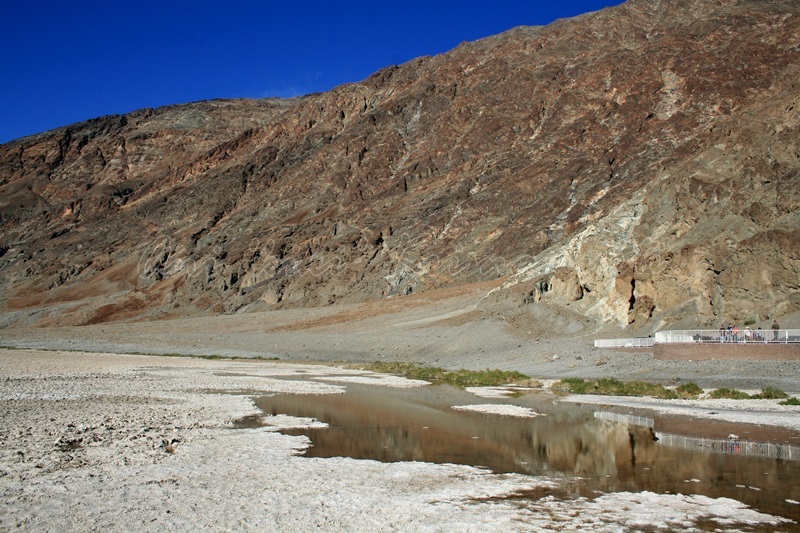 Furnace Creek and the Amargosa River flow through the valley but eventually disappear into the sands of the valley floor. Some families still live in the valley at Furnace Creek. Another village was in Grapevine Canyon near the present site of Scotty’s Castle. It was called in the Timbisha language maahunu, whose meaning is uncertain, although it is known that hunu means “canyon”. The valley received its English name in 1849 during the California Gold Rush. 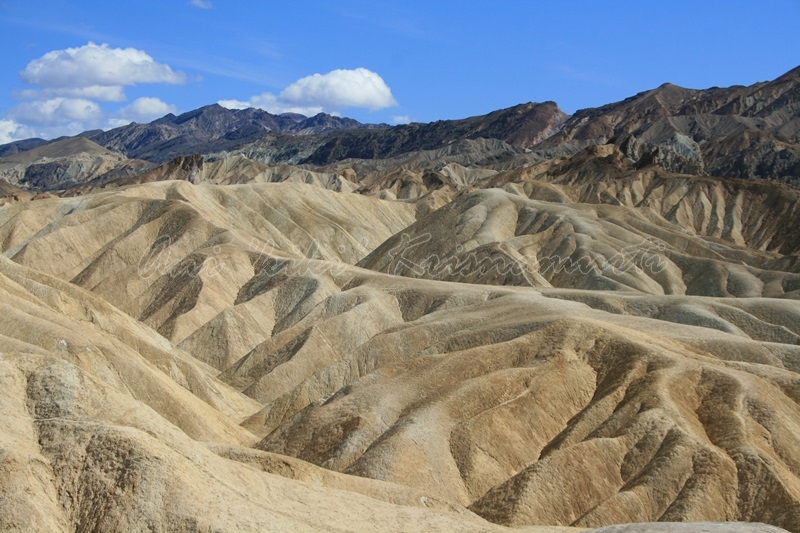 It was called Death Valley by prospectors and others who sought to cross the valley on their way to the gold fields, although only one death in the area was recorded during the Rush. During the 1850s, gold and silver were extracted in the valley. 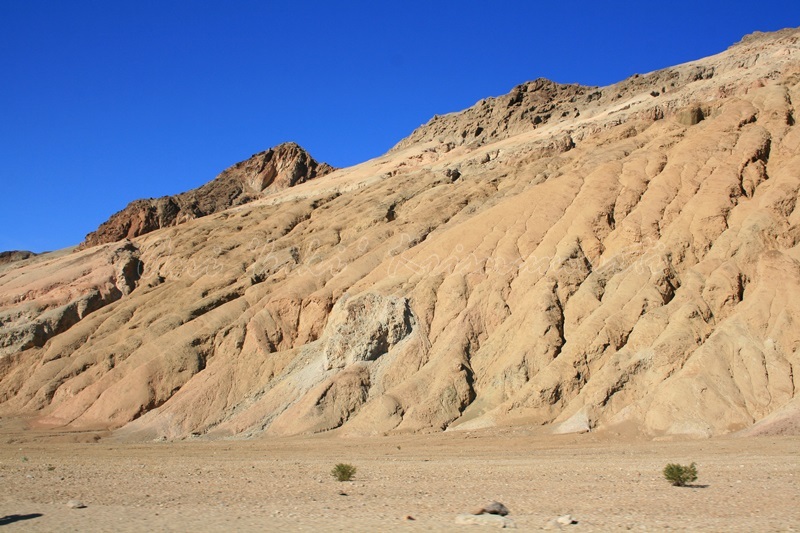 In the 1880s, borax was discovered and extracted by mule-drawn wagons. 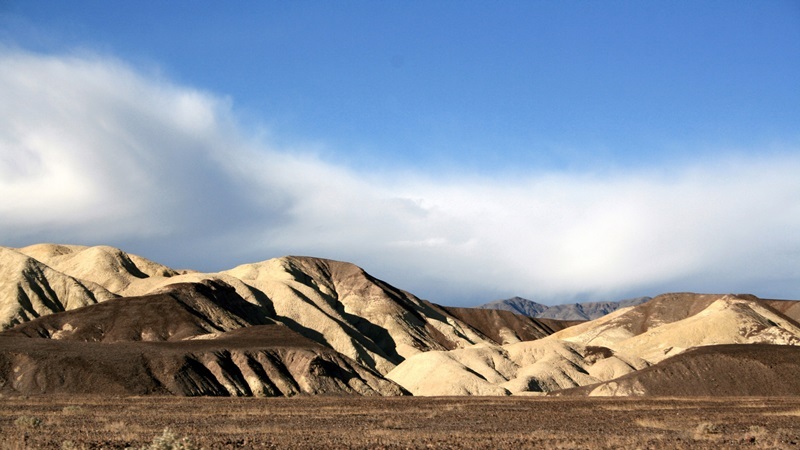 Death Valley National Monument was proclaimed on February 11, 1933, by President Herbert Hoover, placing the area under federal protection. 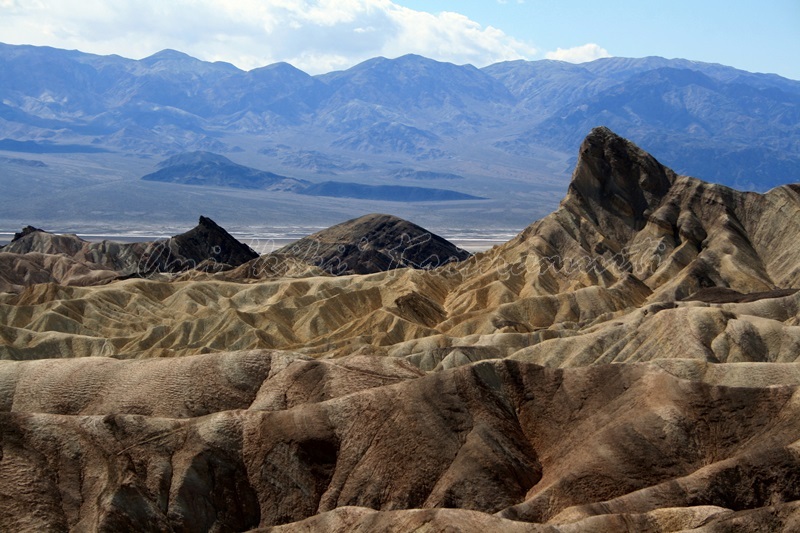 In 1994, the monument was redesignated as Death Valley National Park, as well as being substantially expanded to include Saline and Eureka Valleys. 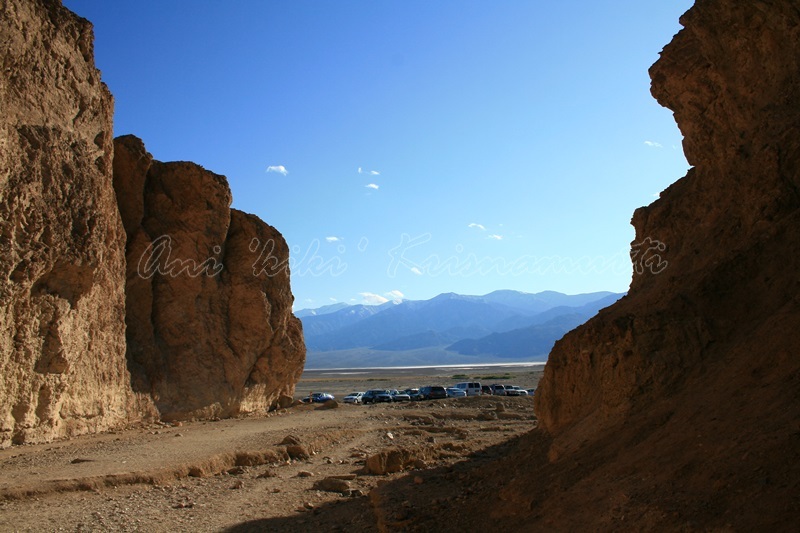 Posted in fave, usaTagged america, california, death valley, death valley national park, nature, photography, rock, rock formation, sand dunes, travel, travel photography, united states, USBookmark the permalink.